Its Wednesday so it's time for another challenge from Creative Inspirations. SugarPlum Daisy..This Cd is jam packed with the most digi stamps I have seen on one disc. The image has been coloured using my copics..The flowers and pearls are from my stash.. 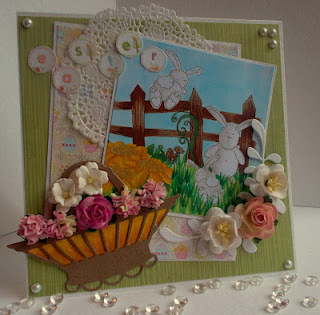 I'd like to enter it into the following challenges..
Beautiful Spring Card, lovely soft colours, great layout too!